Location, Views and Opportunity! 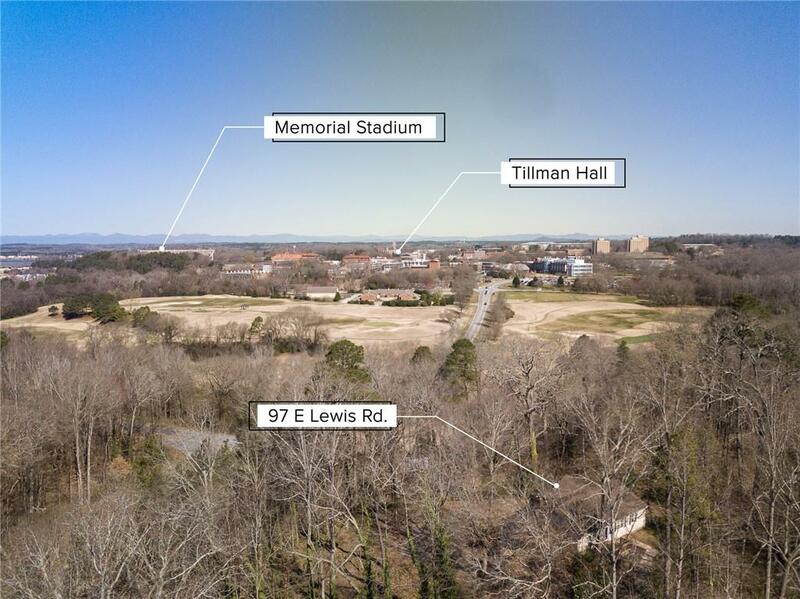 Don't pass up this opportunity to own 2 LOTS and a nicely updated 3 bedroom and 2 bath home with beautiful views of Clemson University Campus, The Walker Course and The Blue Ridge Mountains. Lots 1 and 2 are included in this sale and total 1.6 acres, per county records. The existing home is built on Lot 1 which leaves room for another garage, garage/apartment, guest house etc to be built on Lot 2...many possibilities to cash flow or create extra guest space for those home game weekends! The existing home features an open floor plan with hardwood floors, updated kitchen including granite countertops and stainless appliances, a stunning sunroom/den with amazing views, master suite and 2 guest bedrooms that share a full bath. There's ample room for parking and nice quiet neighbors. This property is so versatile and could provide a great primary residence, rental property, game day home etc.